Welcome to AORIA, a semi-literate magical animal roleplay. AORIA features an intriguing plot available for all members to contribute to, a store where you can buy different items for character development with prey points, NPC accounts for establishing attacks and in-character interactions, and many opportunities to roleplay! Play as a member of Ngamia, Majani, Maji, Kupanda, Vulkaria, or as a wanderer, and have fun! Our admins are Daisyleap, Quake, Sky, and Aqua. Our moderators are Honorchior and Snoo. Please don't be afraid to message the above people if you have any questions or concerns. Enjoy! AORIA'S site rules and other essential information can be found here to help you get started. It is required to read everything in this forum before you join the site so you can be ready! Look here for news and updates on the sites plot, appearance, and more! Some even require member feedback, so it is recommended to check this forum often. Extra information about AORIA is located here, including various guides, maps, the site shop, and details about prey point redemption. This is also very important to read so you can be ready before entering the roleplay. If you're feeling lost or have a question about the site, this is the place to be. This is also where you can post if you have an exciting suggestion! This forum is guest-friendly. If you're a new member and want to post a little bit about yourself, feel free to post here! If you want to alert us of absences where you won't be online, post here as well. In this forum you can post anything necessary to get your characters started, such as tracking mini-plots with another roleplayer, adoption centers, finding mates and mentors, adoptable litters, forming wanderer groups and requesting roleplay areas for them, etc. Enter the lands of the six Realms of Aoria. Enter the lands where the Clans influence doesn't stretch, from rogues, loners, and kittypets to Yijiao and the farmer's feral colony. Make your own roleplay away from the world of Warriors and create a universe of new characters and plotlines. 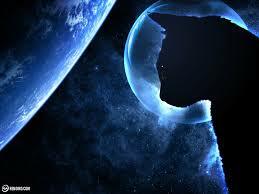 You can talk about anything non-Warrior Cats and start a conversation with other members here. It's just a fun place to chat if you don't want to roleplay or play games. If you are interested in affiliating with BTGF, post here with your request and a short description of your site. The admins will get to you as soon as possible. This board is guest-friendly! Here you can play games with all the fellow members of the site when you're bored or want to get your post count up. You can even make your own!